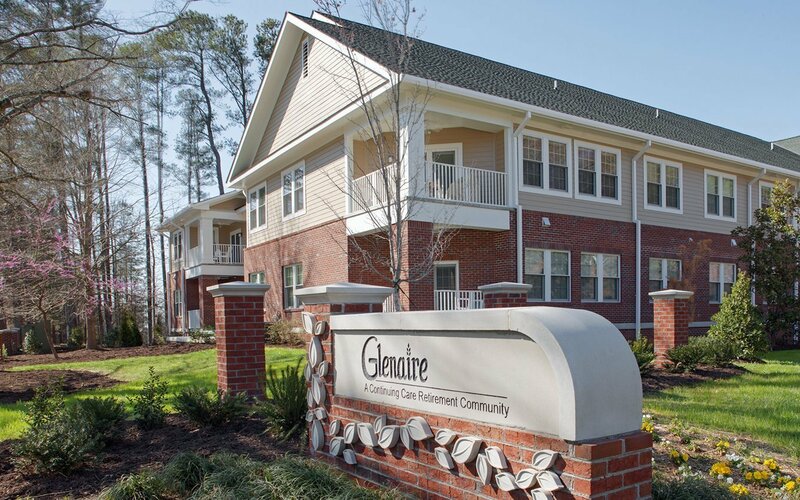 The new Independent Living apartment building is the latest project in CJMW’s 40-year history of working with Glenaire. A hybrid-type building with layered above sub-basement parking, the villa apartments blend the best of cottage with apartment living. 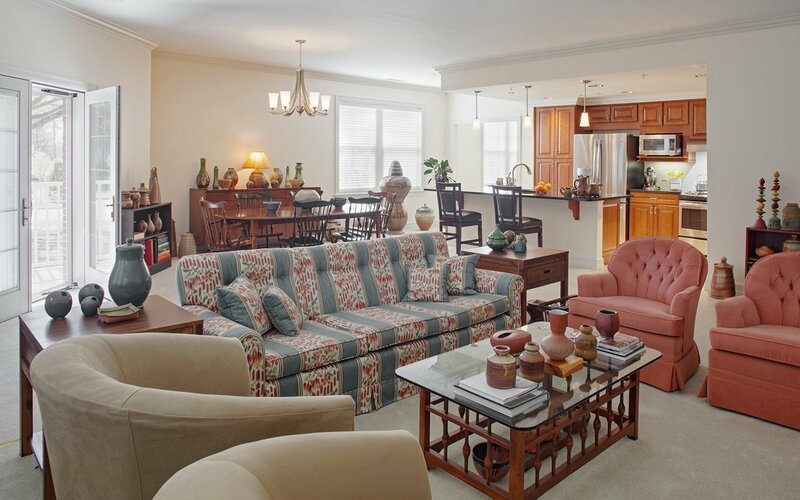 Graciously-sized, light-flooded units give privacy, while shared living space allows community interaction. 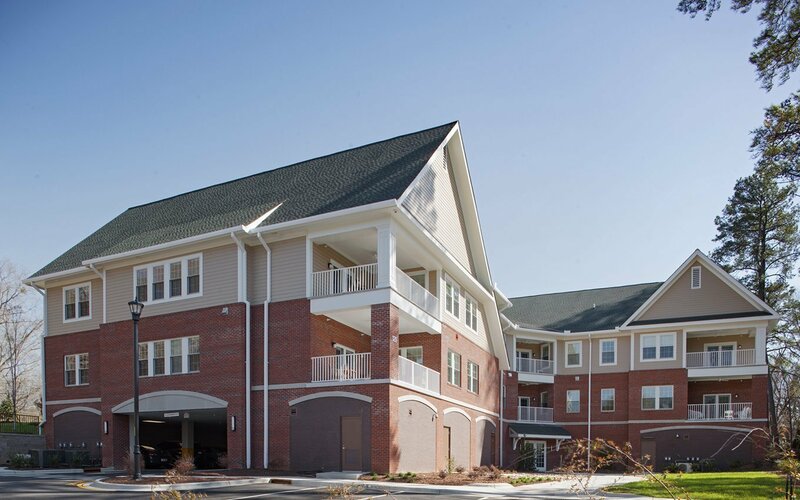 Sheltered parking below provides comfortable access to the two floors of eight units each above. 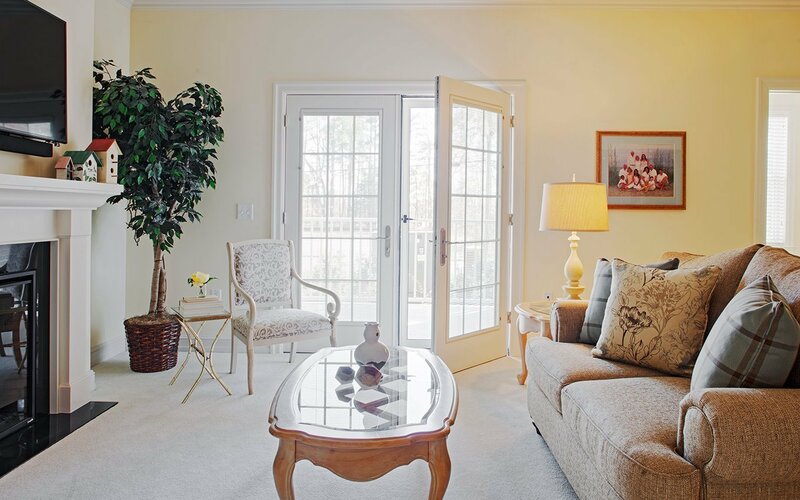 Five different unit types range from 1,363 to 1,808 square feet. 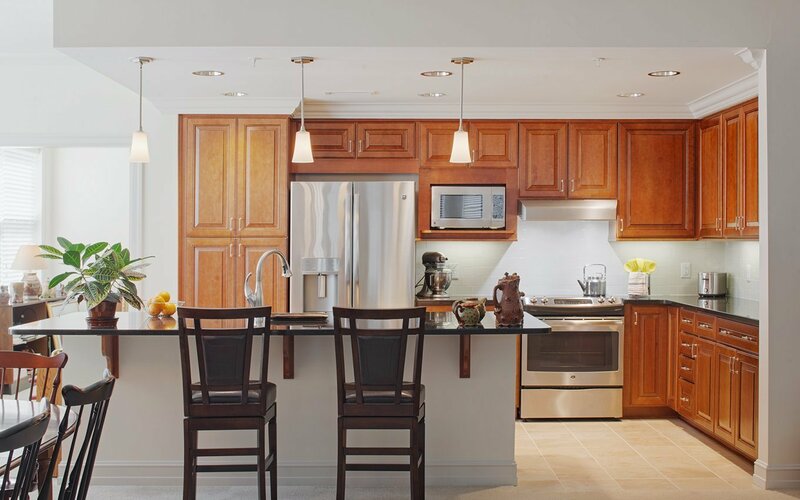 All units are two-bedroom with a balcony and open concept living, dining, and kitchen area. The community is unique in that it occupies a very tight, wooded site crossed by wetland. Nature and views of nature are an integral part of life in the community. 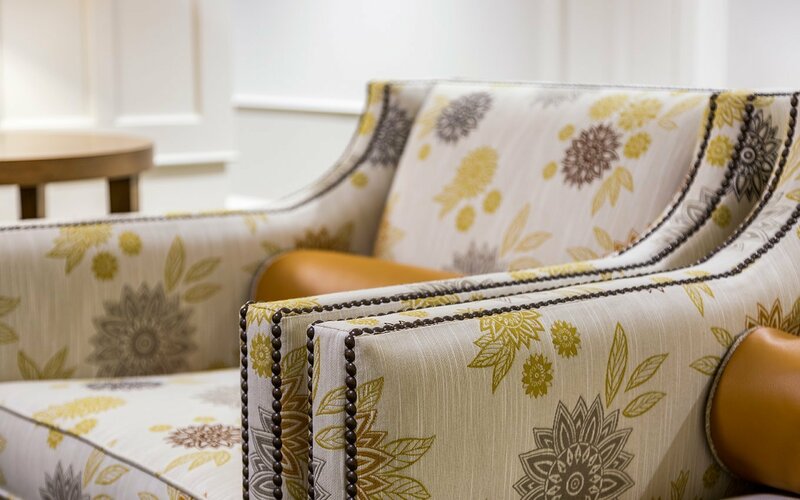 The design incorporates nature in a subtle and contemporary way, through pattern and color. It represents a point of transition for Glenaire, which wants to move from the more traditional aesthetic found in the community’s existing buildings. 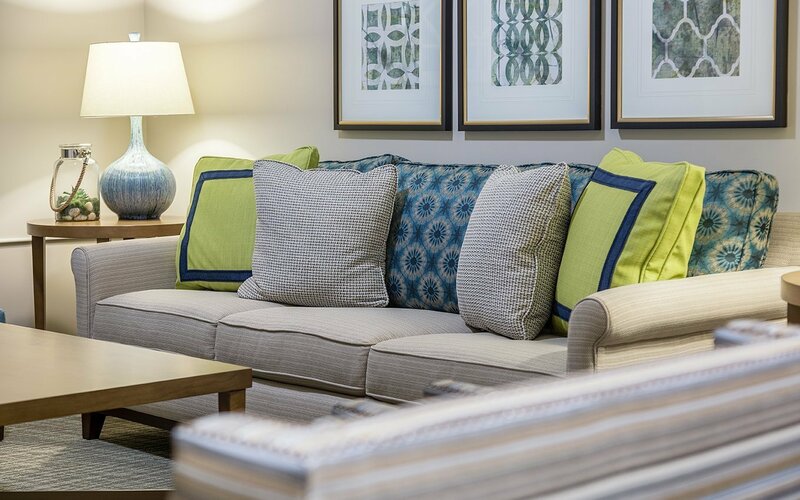 The interior design of the Independent Living Apartments acts as a pivot point and a base from which Glenaire can now move forward in phased steps. The design team prepared a package offering a range of materials easily transferable from one palette to the next, yet lively enough to be interesting. To streamline the process, finish options came from the same manufacturers. Fixtures such as faucets, showers, and lighting were selected as one package that worked with all possible combinations. 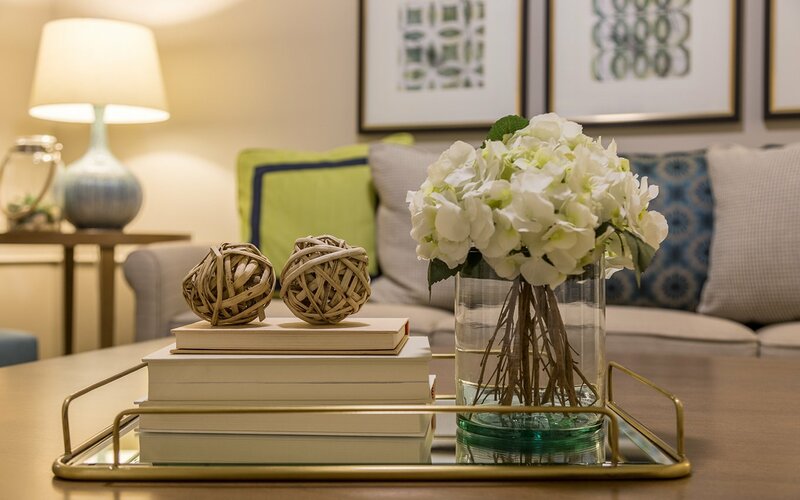 Prospective residents come primarily from local high end neighborhoods so the designers researched the local market before making finish recommendations and detailing millwork. 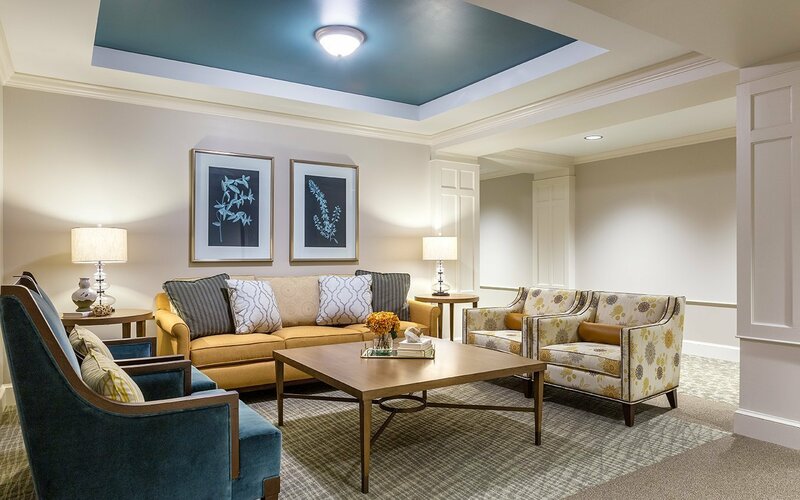 Common areas provide a space for residents to gather, lounge, or come together as a group. 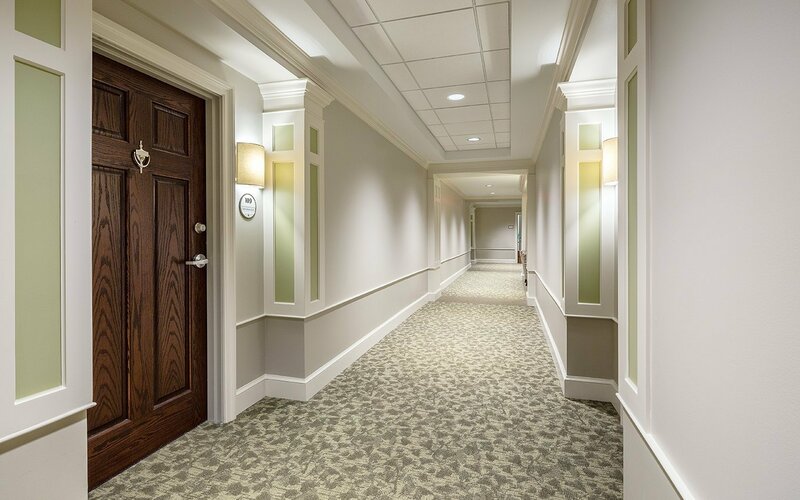 Interior architectural elements such as coffered ceilings, fixture selections, specialty millwork and corridor pilasters all have a comfortable southern feel natural in this market. All units sold before construction completion; in fact, each unit reserved before construction began.